We promised getting to 40K was going to be worth your time! This giveaway is definitely worth the wait! If you were bummed you didn't win any Enchanted Garden goodies, how would you like to win the whole thing? Today is your chance! 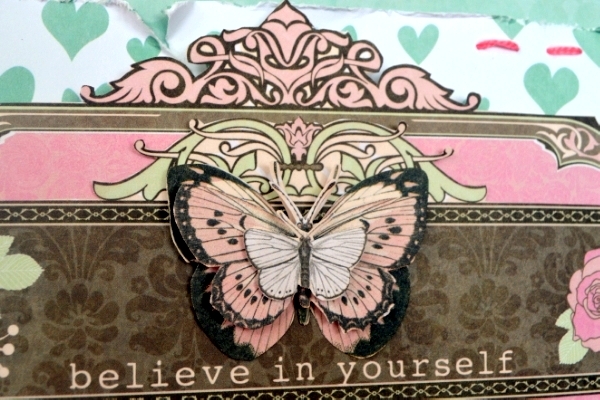 Continuing with our "Pinspiration" our designers have created some fabulous cards! If I could clone myself, one Agnieszka would spend her days just with Pinterest. I like to look at so many different boards. The idea about making cards while inspired by photos from there was such a great idea. I liked happy romantic look and was trying to get this look by fussy cutting butterflies and also by hand stitching. I also liked the color combo a lot and mixing Primrose with Baby Bump was my way of creating similar look. With my second card I went for more contrast but still added blue and pink from Baby Bump and Primrose papers. I did some hand stitching, more fussy cutting and I also created several layers. 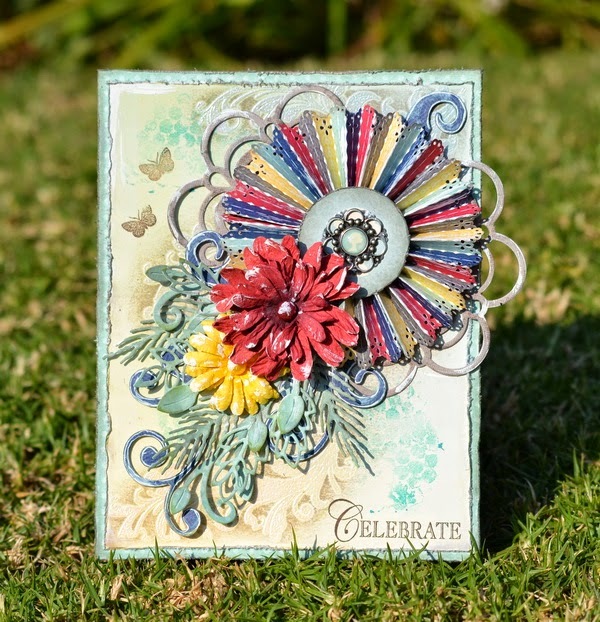 The inspiration for this card came from the pinwheels in the board, as well as the colors of the board. The striped paper from the Modern Miss collection was great for the pinwheel, as the stripes allowed for easier scoring. I punched the edge of the striped paper for my pinwheel and this gave it a nice soft look. To add some depth and texture to the card, I embossed the background with a swirly stamp and clear embossing powder and then added some colour around the image. The inspiration from the Pinterest board came from that first image, where it has those 3 pictures so closely hung, that they look like 3 panels. So this little seed of inspiration was used for the design of the card, where I created the 3 panels. The paper was embossed and then distressed and inked. I chose to use the colors of the board again too and so The Avenues was the perfect choice. I distressed and inked all my papers and this really gave the soft look that I was wanting to achieve. Lovely projects! Especially love the butterflies! The ENTIRE Enchanted Garden??? YES please!!! Your giveaways have been AMAZING. And the projects today are off the chain, great job ladies!!!!!!! Wow, gorgeous projects. I would use this set to make some beautiful cards. I would be in card-making Heaven if I won this entire gorgeous collection! Love the butterflies today! gorgeous cards!! And I would totally make lots of scrapbook pages featuring my little nieces! These cards are like a work of art...just stunning! Winning this collection would be like a dream come true and these cards would be such an inspiration. this collection so amazing so springly))) for cute mini album! I would make lots of beautiful scrapbook pages and a gorgeous mini album!! I love how the colors work together. Thanks for the inspiration! The entire collection? Yes, PLEASE. I could create lots of projects; cards, layouts, albums, altered art...some as gifts, other pieces to add to my own collection. This collection is perfect - great colors and designs! I would love to make the beautiful projects like your design team with this Enchanted Garden collection! So many talented artists - the staff at Bo Bunny and the wonderful people that use the products, just enchanting. Love the colors and designs in this collection. Thanks for the chance to win it. I would be in Heaven if I won this. I would create so many gorgeous keepsakes and gifts. Dreaming of all the cards and pages I could make with this beautiful collection . . . . .
Lovely projects! Awesome give away! I would use today's prize pack of Enchanted Garden to make some gorgeous layouts, pretty cards and some mixed media projects. Thanks For the chance! Love the gorgeous details...WOW!! Fabulous! Thanks for the chance to win!! Awesome cards, Denise! Love your eye for detail. Enchanted garden is my daughter's favorite. We love the soft hues of purple and teal. I think i would make a drop dead gorgeous journal and some cards. would love to use them in the mini album I am gonna make for my daughter.I'm sure she would love the colors a lot! What a beautiful line! I would scrap the weekend away! I would scrapbook my granddaughters antics with this beautiful line. OH MY!!!!!!!!!! The WHOLE thing? I would be SO EXCITED to win this FANTASTIC prize. What would I do with it? As much as I could, I have a scrapbook to make for my granddaughter and several cards to create for upcoming events. This collection is so beautiful and versitile I think that I could do the scrapbook and several cards. Thank you for giving us a chance to win this. I would love to make cards with this! Wow! The cards today are wonderful! Personally, I would make scrapbook pages with this collection. I'm working on scrapbooks for 4 children. Then I make cards for Operation Write Home with the leftovers! The color pallet is amazing! :) I cannot wait to get my hands on some of this. I would make cards and tags with this wonderful collection! Thanks! This is the perfect collection for my wedding album, Love the colors. These cards are gorgeous. Love all of them. 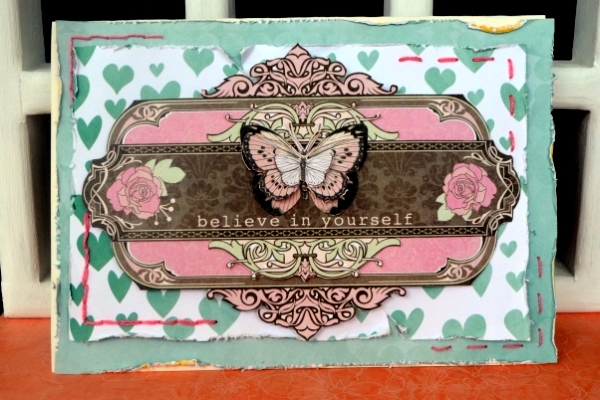 I would also create layouts with the Enchanted Garden collection. Thanks for the chance to win. Wow what a beautiful collection!!! I think that I would make some home decor projects for my daughter's room...which is decorated in a shabby chic style. Love the mix of patterns from geometric to floral! Wow a really great collection, a lot of cards and layouts can be done!!! Love this collection. Would love to use it on family layouts. Thanks for the chance to win. Lovely collection! I would use it for layouts, cards, and projects! I love this collection! I would make lots of beautiful layouts! beautiful cards! I love this collection, perfect for cards and scrapbooking. WOW! The projects are beautiful. Beautiful cards with such lovely intricate designs. Love the colors of the Enchanted collection! Would be great to win it! Thanks for the chance! 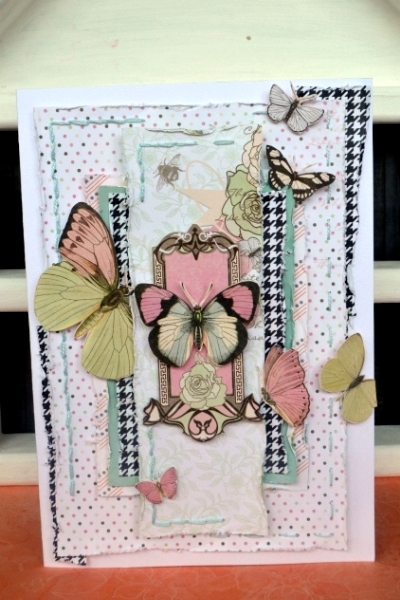 Such beautiful cards today and just love the butterflies! I have made one card in a box and this collection would be so nice to make another one. Thanks for the chance! If I win, I'll be making cards and ATCs! Enchanted Garden is a gorgeous collection! I would definitely make some cards and possibly a layout with these fabulous papers! or maybe a mini-album! This collection would be perfect for scrapbooking spring photos!!! 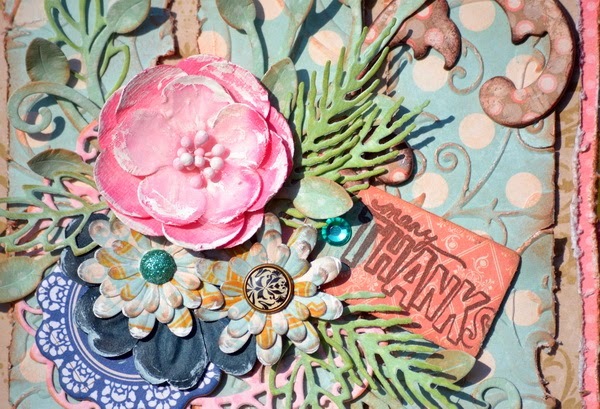 Terrific mood board and amazing card. These are my mother's favorite colors so I know I would make a card for her, I'd most look forward to making some layouts. I love the colors in the Enchanted line. I would be able to make lots of cards and mixed media pages!! Amazing Rosette! Love the striped paper. I think I would create a vacay mini album with the Enchanted line. I am visiting an amazing strip of beach this summer and it would be perfect for it. I would love to make layouts of my beautiful daughter with the Enchanted Garden collection. I would be thrilled to win the entire "Enchanted Garden" collection. The colors are fabulous!! Thanks for the chance to win. I would be totaaly thrilled to win this beautiful collection..such pretty colours. Love everything about this collection ! Wow the cards are amazing! I would love to win this collection. Such beautiful colors and such a great opportunity for amazing layouts! Thanks for the opportunity to win! 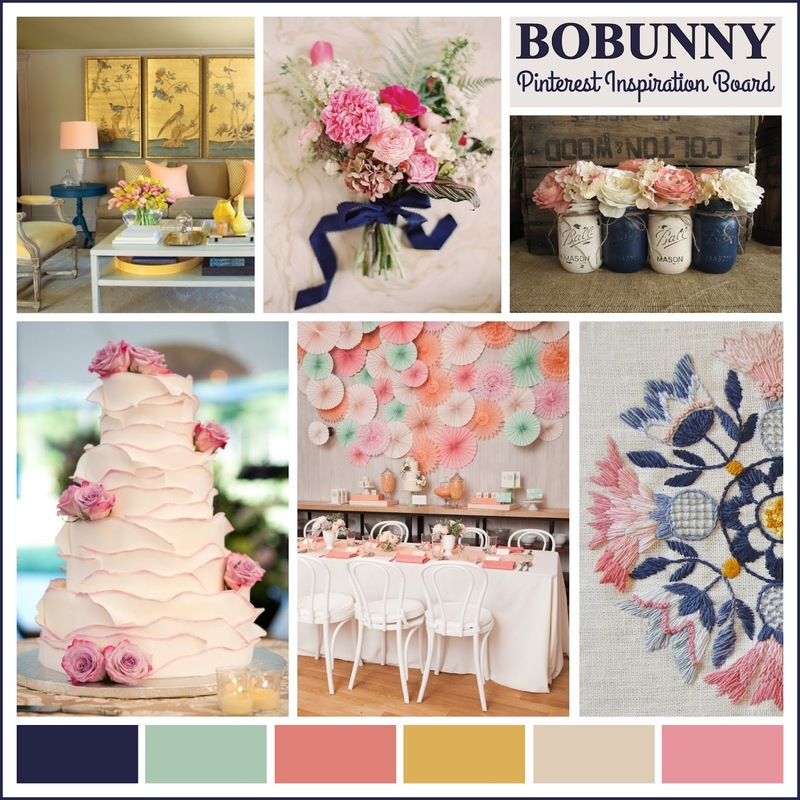 Bo Bunny is my favorite paper company and I have had plans for a lap book from the first for Enchanted Garden. love the enchanted garden collection! amazing collection, love all the projects! I would love to use this collection to finish my 40th Wedding Anniversary Trip scrapbook!!! The colors are awesome! These cards are amazing! I love the Enchanted Garden collection and would make albums for my daughters as well as some cards if I were lucky enough to win. I would use this collection to scrap my beautiful daughters and granddaughters! What a gorgeous collection of cards just beautiful. Would love to make some like that with this collection. What beautiful projects! I would love to make a beautiful mini scrapbook with this collection! Wow what amazing cards, I would also make cards and scrapbook pages. Provávelmente, se eu ganhar, vou fazer um monte de lembranças, cartões e mimos para as amigas. É lindo demais! Para fazer coisas lindas para quem se ama! Definitely would use these for cards! 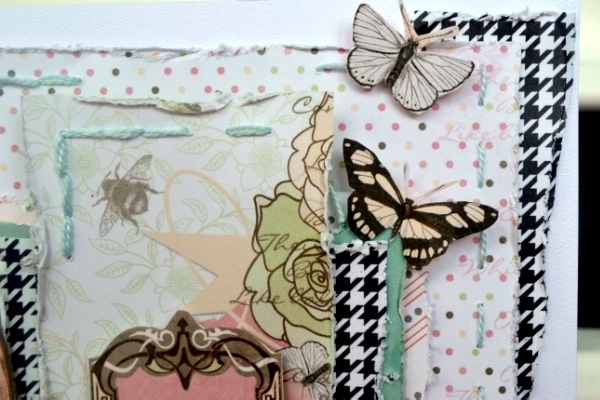 I would create cards, layouts and lots of pretty things....I love this collection. Oh, and the creations on the blog are awesome!! Thanks so much!! I love this Enchanted Garden set! They would look great with my son's wedding pictures! TOTALLY AWESOME giveaway today - I LOVE the Enchanted Garden Collection and it would be a DREAM COME TRUE to win and use it to make a combination of GORGEOUS cards and BEAUTIFUL layouts!!! Beautiful cards!!!! Awesome giveaway, the Enchanted Garden Collection is my favourite of the recent release. Thanks for the chance to win this awesome prize!!!!!!!!!!!!!!!!!!! This collection is so gorgeous! Thanks for the chance to win! Oh my goodness! If I had this whole collection, I would make a little bit of everything - mini-albums, cards, wall-art, all kinds of altered items......seriously! This collection is so gorgeous, I don't think I would ever tire of it! Bobunny is always awesome! What a stunning collection! And look at all the amazing Bo Bunny inspiration WOW! Thank you for sharing this very enchanting collection and most of all, for sharing so much incredible creativity and for making it a really fun time. :) Hugs! Amazing collection. I love this cards! nice cards! would love to win the collection to do lots of great cards. That cake looks delicious and so do the cards. Oh, wow!!!!!!!!!!!!!!!!!!!!!!!!!!!!!!!!! I REALLY need to win this one. Pretty pretty please pick me!!!!!!!!!!!!!!!!!!!!!!!! I LOVE this collection so much. This collection is so beautiful! I would love to make album for my daughter! Thanks for the chance to win! Would love to win this collection. Thanks for the chance to win. Wow this collection is just stunningly gorgeous. I love the colour combination. I would use this collection in everything - garden journal, card, pages - I even have a great OTP project in mind. Thank you for the chance to win. 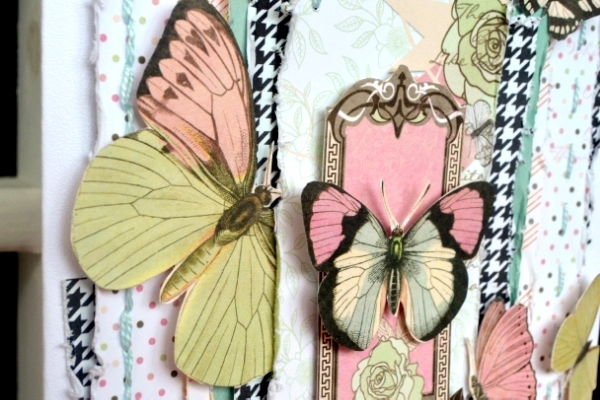 *swoon* What gorgeous inspiration...you had me at butterflies! What could I make with these (absolutely amazing) products? I think the real question is, what could I NOT make!!! 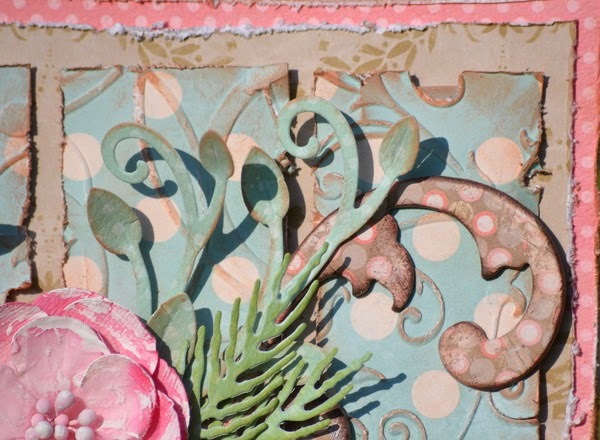 Such gorgeous papers and embellishments that would be perfect for so many different kinds of projects - from layouts to mini albums to altered projects ... the Enchanted Garden line inspires me to get into creative mode quickly! 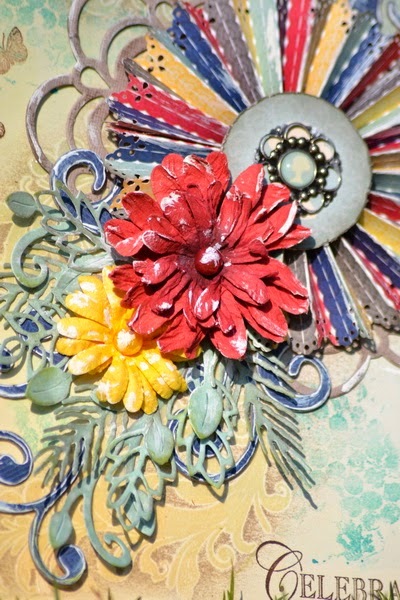 The possibilities are endless with the Enchanted Garden collection: scrapbook pages of my girls, cards and I have some ideas for wall hangings/home decor with those gorgeous colors! Looking at that collection just makes me smile. I am a HUGE Bo Bunny fan and thank you for the chance to win such a beautiful kit. I would make some altered art and also some wall hangings. The ideas and projects would be endlesss! Bo Bunny has the best products and their collections are so versitile. I would make lots of cards and scrapbook pages! OMG, what a fabulous giveaway! I would make layouts with pics of the tulip festival and other summer layouts. Or I might even try a mini album! And I would likely make cards with the "leftovers". Such beautiful cards. 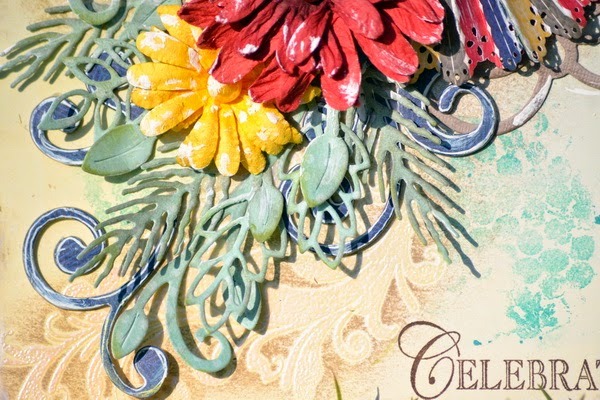 Love the rosette on the celebrate card. 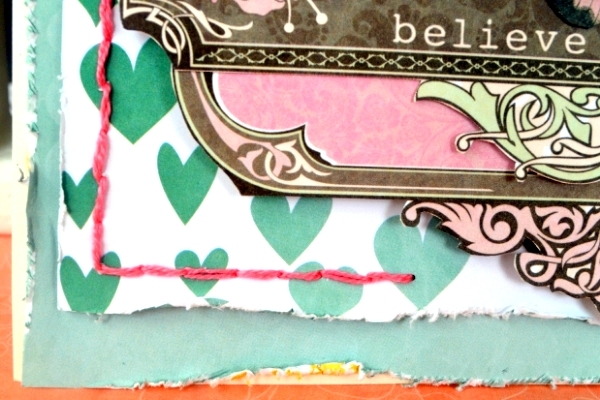 I would love to make lots of beautiful layouts with Enchanted Garden. I would make a bunch of cards and maybe a mini album or 2. Love the collection. Gorgeous inspiration projects! Would so love to win! I would make lots and lots of cards and a few altered items I have in mind! Love this collection! Wow, I would absolutely adore to win this!! I just loove Enchanted garden!! If I won I'd scrap lots if baby and holiday photos as well as making cards - they would surely turn out gorgeous with all these goodies! The Enchanted Garden is so pretty .... love the colors and patterns! I would make some thank you/birthday cards and scrapbook my recent birthday brunch with family and friends. I love The Enchanted Garden!! The colors are some of my favorites! I would make a ton of gorgeous cards and tags with collection! I LOVE Bo Bunny's quality products. I would love to win the entire Enchanted Garden collection, it is delightful. Thank you for the chance to own the whole collection. Absolutely stunning! When I grow up I want to be like you! Absolutely gorgeous! I totally could make one heck of a scrapbook with this!